What better place to express what you're really thinking than the modern-day soapbox: your refrigerator? 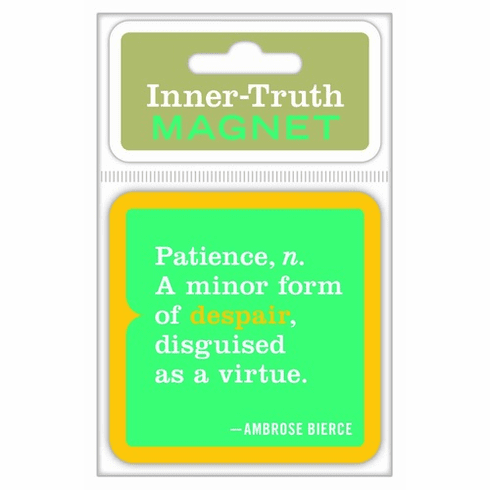 Put patience in its place with a peevishly powerful magnet that tells it like it is - in bold, colorful style, no less. - Reveals the truth so you don't have to!